The winners for the 63rd Cork Film Festival were announced at the closing awards ceremony at the Triskel on Sunday night, November 18th. 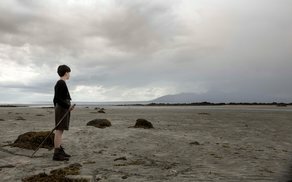 Irish short ‘Stigma’ has won the prestigious award of Grand Prix Irish Short Award. The film, directed by Helen Warner and produced by Marie McDonald, now joins the long list for the Academy Awards® in 2020 in the Live Action Short Film category. The awards were presented ahead of the Closing Night Gala at the Everyman, with the Irish premiere of ‘Capernaum’, directed by Nadine Labaki. Sponsored by RTÉ Supporting the Arts, Principal Media Partner of the Cork Film Festival, the award was presented by Brian Walsh, Deputy Head of Acquisitions/Exec Producer, RTÉ. The Festival’s second Academy Awards® qualifying award, for the Grand Prix International Short Award, was Maria Eriksson’s ‘Schoolyard Blues’ (Skolstartssorg) a Swedish short film, which the judges recognised as being “both uplifting and heart-breaking and prompts us to consider continuity and change, the struggle for survival on the margins and the enduring and potentially restorative power of love”. The Audience Award was won by ‘Float Like a Butterfly’, written and directed by Carmel Winters, which was the Opening Night Gala film and European Premiere. On winning the award, Carmel Winters said: “Winning the audience prize at the oldest and largest festival in Ireland is the greatest gift I could wish for. So many of us bared heart and soul to make this film. Thank you, thank you, thank you Cork for championing the right of all of us to be our truest and best selves." The Gradam Spiorad Na Féile / Spirit of The Festival Award went to Ali Abbasi’s ‘Border’ (Gräns). Based on a short story by John Ajvide Lindqvist, the author of ‘Let the Right One In’, Ali Abbasi’s second feature is one of the year’s great discoveries – an extraordinary, highly original work that melds modern Nordic noir with the region’s folklore. The Cork Film Festival Short Film Candidate for the 2019 European Film Awards is ‘Black Sheep’, directed by Ed Perkins, and produced by Academy Awards® winners Simon Chinn and Jonathan Chinn. This short documentary is about a young man who finds himself the target of extreme racial abuse, and follows his decision to become more like the people who hated him. The award for Documentary Short went to ‘Black Line’, directed by Mark Olexa and Francesca Scalisi (Switzerland), and the Best Cork Short Award was won by Megan K Fox for her film, ‘The Shift’, set in the final disco of the Gaeltacht, and one 15-year-old who is determined to get the shift against all odds. The new award for Best Director: Irish Short, supported by Screen Directors’ Guild Ireland, went to Oonagh Kearney, for her short ‘Five Letters to the Stanger Who Will Dissect My Brain’. The film provides an insight into the soul-searching journey of first-year medical student Viv, whose first encounter with a cadaver in the anatomy room sends her on a quest into the nature of what it means to be alive. Other prize winners announced at the Awards ceremony, which was hosted by Dave Mac Ardle (RedFM), included ‘Hale County This Morning’, ‘This Evening’, directed by RaMell Ross, which won the Gradam Na Féile Do Scannáin Faisnéise / Award for Cinematic Documentary. The film presents an intimate and heart-breaking depiction of the Southern African American experience and was the recipient of the Special Documentary Jury Prize at Sundance earlier this year too. The Cork Film Festival Youth Jury Award went to ‘Crystal Swan’ (Khrustal), directed by Darya Zhuk, who attended the Festival to present her debut film, a fascinating study of post-communist youth. “It has been an inspiring 10 days of exceptional cinema in Cork. From the high calibre of award winners, to the strength of the Opening and Closing Gala films, and with over 250 Irish and international features and shorts in between, this year’s Festival has been an unforgettable experience for everyone involved. We welcomed over 170 filmmakers and special guests to Cork this year and 18,000 people joined them for many sold-out screenings. Cork Film Festival is supported by principal funder the Arts Council, along with Cork City Council, Screen Ireland, Fáilte Ireland, Screen Training Ireland, Culture Ireland, Creative Ireland and Creative Europe Media. Principal Media Partner is RTÉ Supporting the Arts and Media Partners are the Irish Examiner and Red FM.